I wasn’t playing Gunpoint, though you could be forgiven for thinking so — I was actually playing Ronin, a clever action-platformer from indie developer Tomasz Waclawek, on the show floor of PAX South. One of the game‘s core mechanics — a superhuman, arcing leap, which you can use to smash through windows and knock down foes — is remarkably similar to a mechanic that made Gunpoint a standout game back in 2013. Fortunately, the similarities stop there. 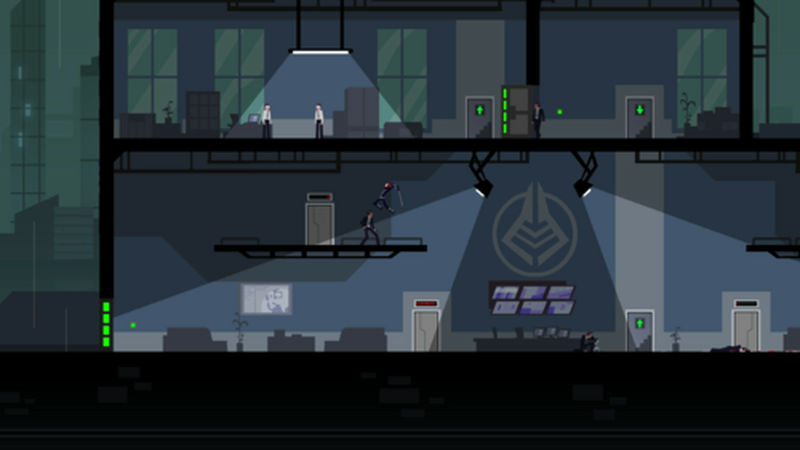 Ronin initially launched last year as a freeware game, which Waclawek has improved upon for the full game, which launches later in 2015. In it, you play a vengeful ninja, who, in addition to super-leaping, can climb walls and ceilings, swing on grappling hooks, drop holographic decoys to distract foes, teleport between said decoys and execute foes with a slice (or a throw) of their sword. It’s as fast and as slick as you’d expect a ninja-led action-platformer to be — unless you’re in combat, when it turns into a contemplative turn-based game. In what may just be the most difficult-to-explain scheme ever conceived, entering an enemy’s field of vision brings the game to a screeching halt, giving you an opportunity to execute one of your deadly acrobatic maneuvers. The action, from this point on, takes place in second-long chunks. Enemies spend one turn lining up their shots or charging melee attacks, which are represented by red lines on the screen. During your one-second chunk, you have to devise a plan to avoid those attacks (which kill you in one hit) or incapacitate your potential attackers. What makes that idea so brilliant is the game’s ninja locomotion itself. You have to be extremely precise with your movements, because your turn can, and most often will, end in the middle of your jump — and if you happen to be in an enemy’s crosshair when that happens, you’re toast. Trickier still is deciding how to spend your next mid-air turn. Do you throw your blade at a distant foe, leaving you vulnerable until you can recover it? Do you Spider-Man swing out of danger? Or do you continue the arc of your original jump into the fray? It’s a surprisingly exciting combat system, one that rewards deft maneuvers with combo multipliers and score bonuses. It’s also completely optional — if you can stay in the dark, or on ceilings above unassuming foes, you can stealth-kill the lot of them without ever entering into turn-based mode. It’s not nearly as flashy, of course, but it gets the job done. Ronin will launch this fall on PC, Mac and Linux. It might be easier to understand if you see it in action — which you can do in the trailer posted below. 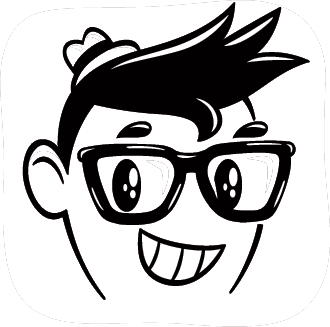 This entry was posted in Gaming, Interviews, Links, Musings, Photo, Style, Tech, Toys/Collectibles and tagged action-platformer, app, freeware, freeware game, gaming, Gunpoint, ninja, platformer, ronin, video game. Bookmark the permalink.